Ryan B. found a stunning waterfront property in the quiet neighborhood of Bethel Lake. Sperling’s BestPlaces website forecasted job growth in the area, so Ryan leaped on the opportunity to invest. 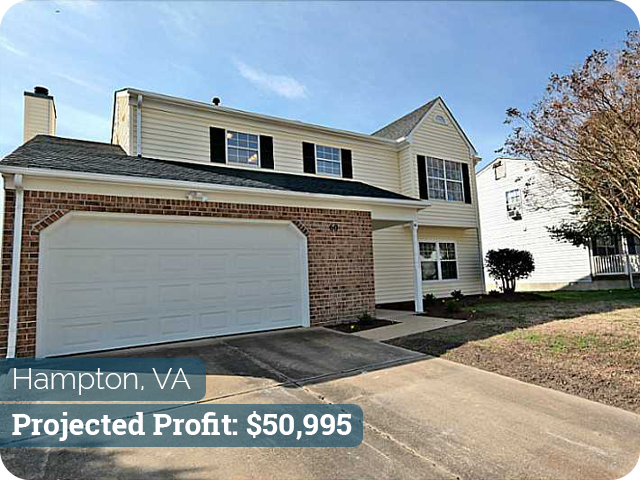 The beautiful four-bedroom, two-bathroom home needed a lot of work, but Ryan saw tremendous potential in this property. Ryan came to Do Hard Money to fund his very first investment deal. We covered 100% of the property purchase price and the rehab costs, as well as most of the closing costs. Ryan worked with Michael to help receive funding and he also worked with Freda as his account advisor. Ryan gave this home a complete upgrade. First, he made some much-needed repairs to the roof. He also installed new carpet and new wood flooring. Ryan then updated the kitchen with new cabinets, granite counter tops and stainless steel appliances. Finally, he updated the bathrooms with brand new granite counter tops on the vanities. After he completed his rehab work, the house sold very quickly and Ryan received a whopping estimated $50,995!